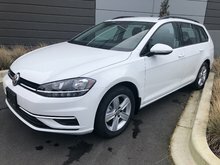 Home > New Vehicles > Volkswagen > Golf wagon > 2019 > 2019 Volkswagen Golf wagon Highline 4Motion Auto w/ Drivers Assist Pkg. 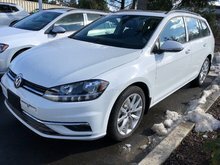 2019 Volkswagen Golf wagon Highline 4Motion Auto w/ Drivers Assist Pkg. 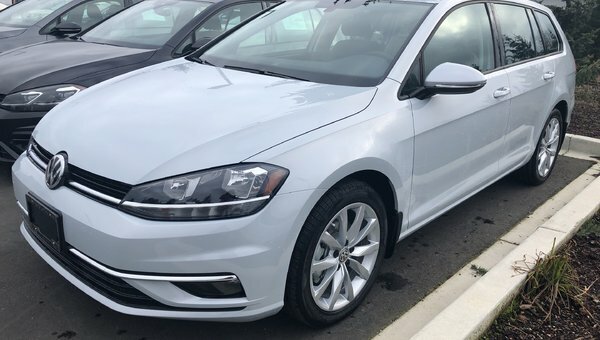 From across town to out of town, devour all life’s roads in the 2019 Golf SportWagen. 60/40 split folding rear seats offer maximum versatility for transporting people, cargo, or both. Do more in more places with available 4MOTION® All-Wheel Drive for optimum traction on all roads – or no road at all. 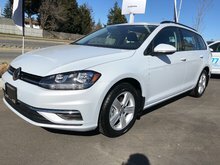 Plus, it can offer a nimbler, sportier ride, thanks to a 1.8 TSI turbocharged engine coupled with Electronic Stability Control. And all bundled in stylishly sporty, sophisticated design with an arsenal of equally sophisticated technology and safety features to expand your horizons – and elevate your expectations. 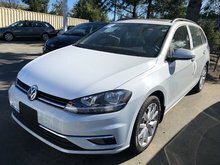 Key Features: 17” Dijon Alloy wheels, Panoramic power sunroof, 4MOTION AWD, KESSY – keyless access with push-start button, Ambient lighting, Blind Spot Detection with Rear Traffic Alert, Front Assist - Autonomous Emergency Braking with pedestrian monitoring, Adaptive Cruise Control with Stop & Go (Automatic Transmission only), Front fog lights with cornering lights, LED daytime running lights, LED tail lights, Leather wrapped multifunction steering wheel, App-Connect smartphone integration, Bluetooth mobile phone connectivity, Composition Media – 8.0” touchscreen radio with proximity sensor, CD player, voice control, 6 speakers and 1 SD card slot, USB audio input, Power outlets (2) 12V, (1) 115V, Leatherette seating surfaces, heated front seats, power adjustable and heated exterior mirrors with LED turn signals, rain sensing wipers, rearview camera.